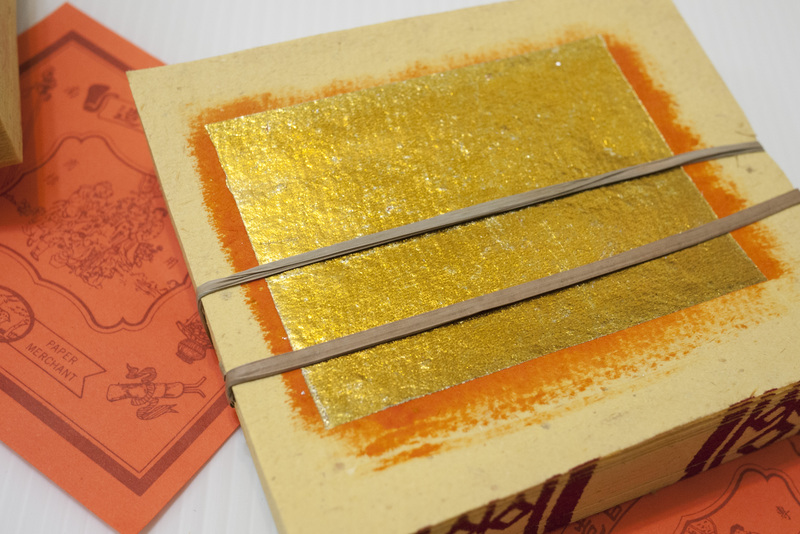 In Taiwan, some part of China, and many parts of East Asia, Joss paper (a. k. a. ghost money) is very often being used as ritual offerings for the dead, ancestors, and the holy. 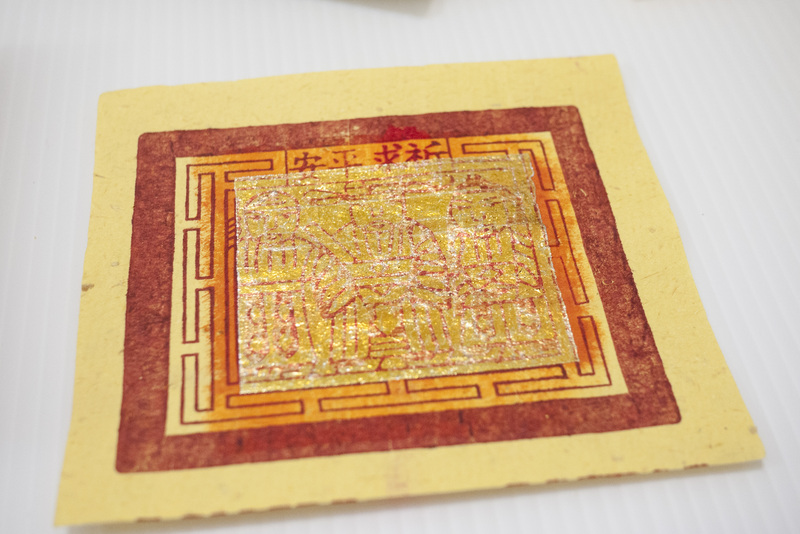 They are traditionally made of bamboo paper with a slice of metallic paint. 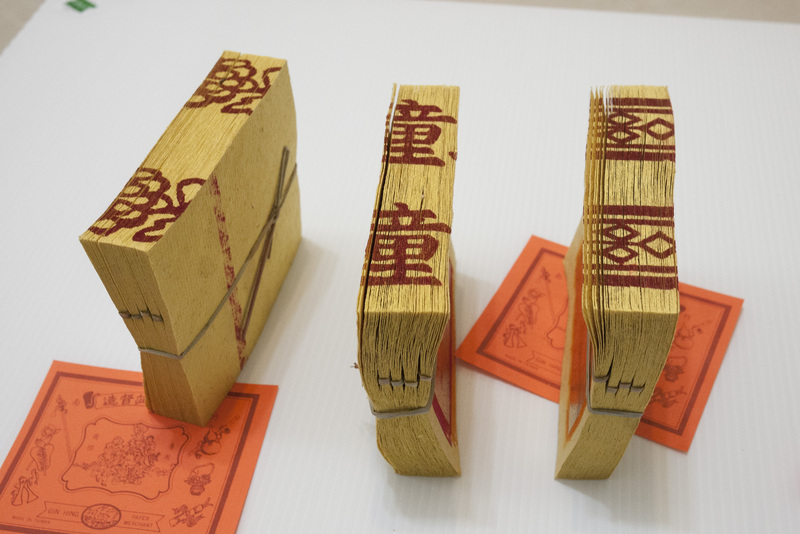 People consider the paper is the currency in the world of the dead, where the bamboo paper is the “burning medium” that carries the metallic paint (money) to the dead through burning. Cultural wise, people believe that burning is the only way to deliver things to the deceased. So the process of burning something into ashes can be seen as “sending off” the things to the dead. They comes in three different forms: gold with patterns, gold, and silver. The gold with patterns one are for the gods. The gold one is both for the gods, the dead, and ancestors. While the silver one is for the dead and ancestors – who were once mortal. 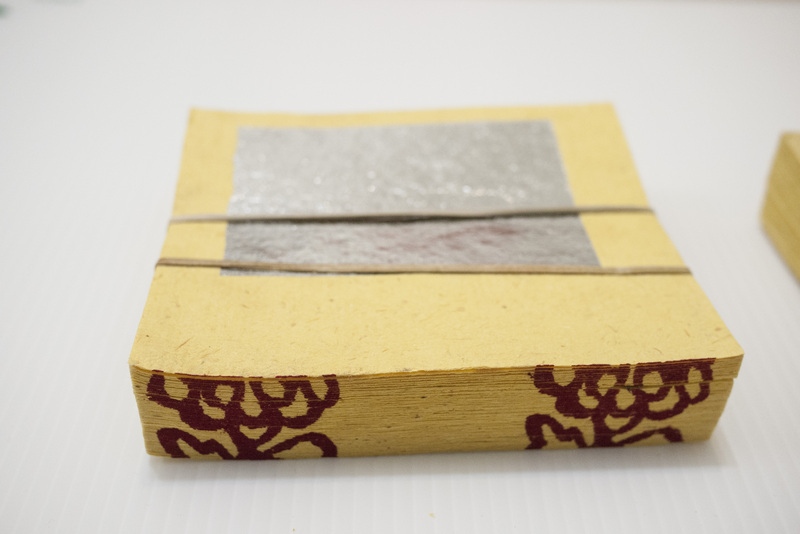 Nowadays the bamboo made Joss paper is extremely hard to find, where there are only three factories left in Taiwan. 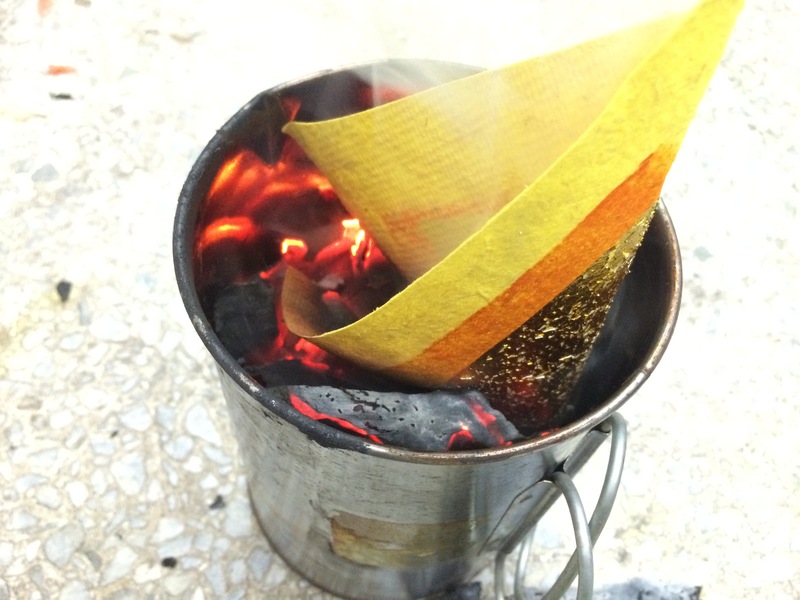 Most of the papers available in the markets are made by recycled paper, which has a very distinct difference when burnt: The bamboo-made creates white smoke and burns faster, doesn’t smell, and the recycle paper creates black smoke and stinks. 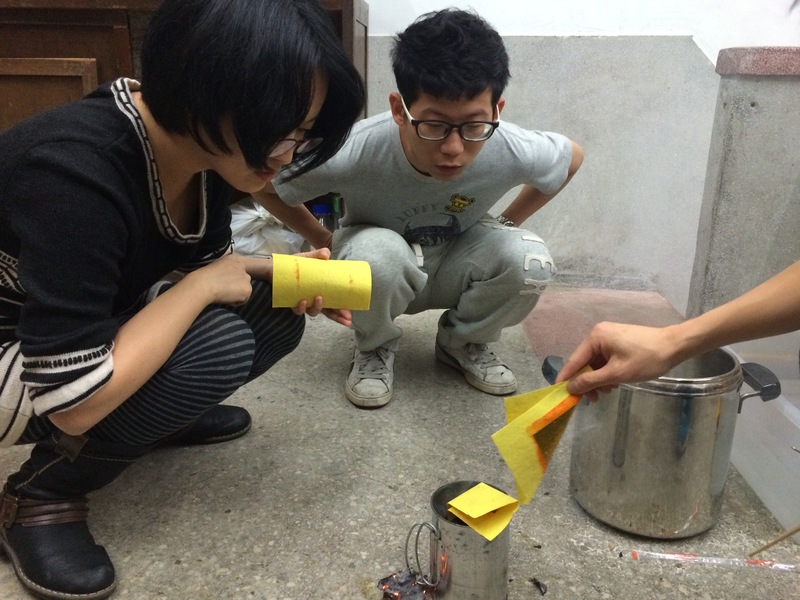 I tried to burn the paper in a tin can, which is nothing from traditional. The ashes are then collected and to make lye. 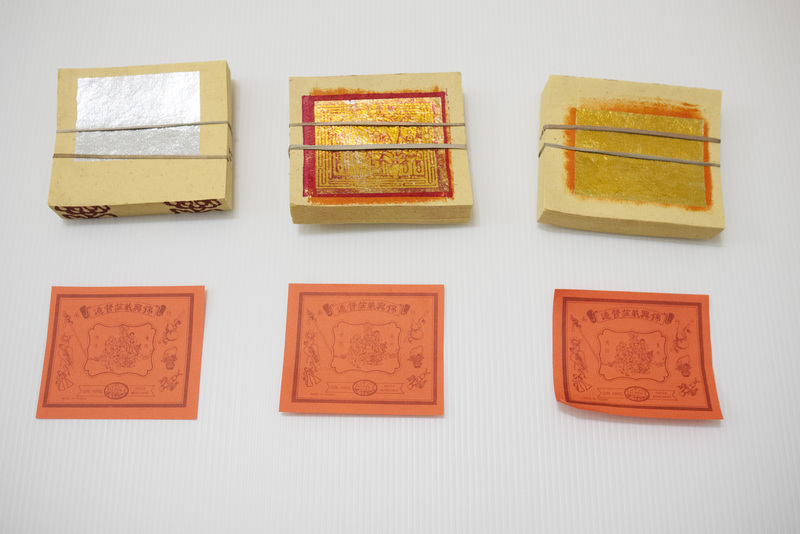 It will be quite interesting to see how the metallic paint affects the lye solution.